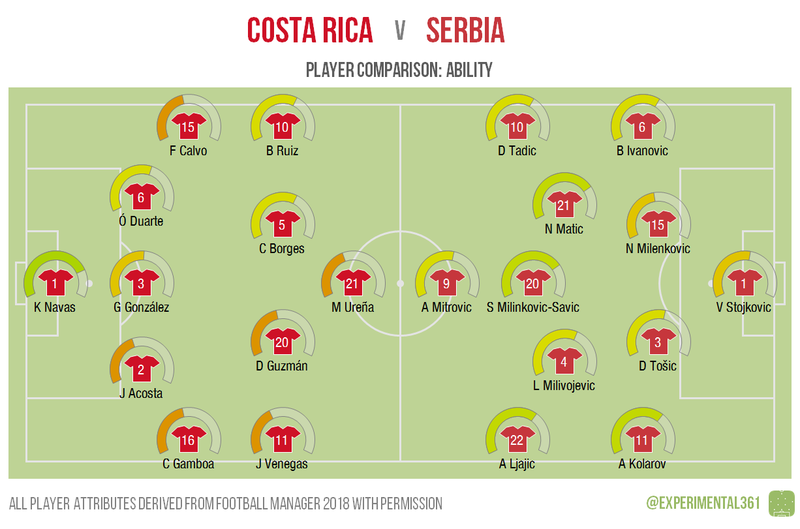 Serbia look to have the edge here, with Costa Rica’s best player being their goalkeeper and only two of their midfielders apparently able to hold a candle to their opponents’ front six. 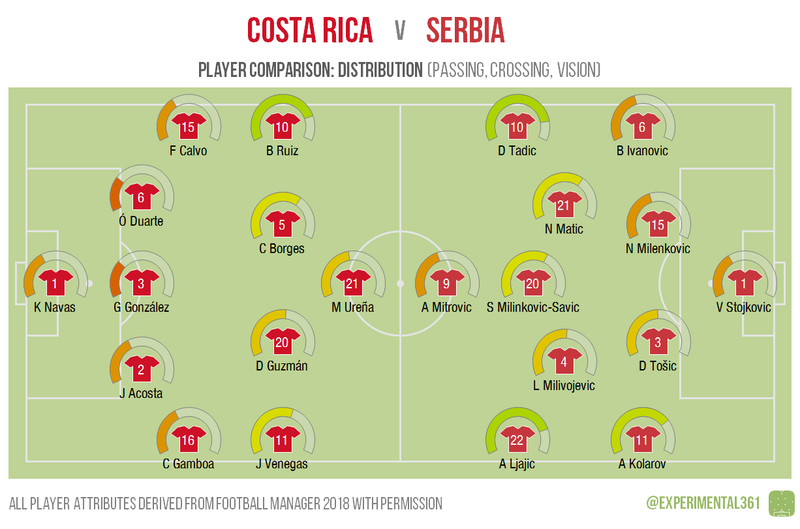 For Costa Rica it looks as though the full backs will be doing some of the running on behalf of the less mobile wingers ahead of them, while the centre forward Urena stands the best chance of darting into space. Tosic aside, the Serbian team looks reasonably capable of keeping up with their opponents. Based on this I’d expect both sides to be creating a lot of chances from the flanks, with Ruiz, Tadic and Ljajic the best distributors on the pitch. Serbia can also rely on Kolarov to whip some balls in, while Borges and Venegas are Costa Rica’s other key outlets. 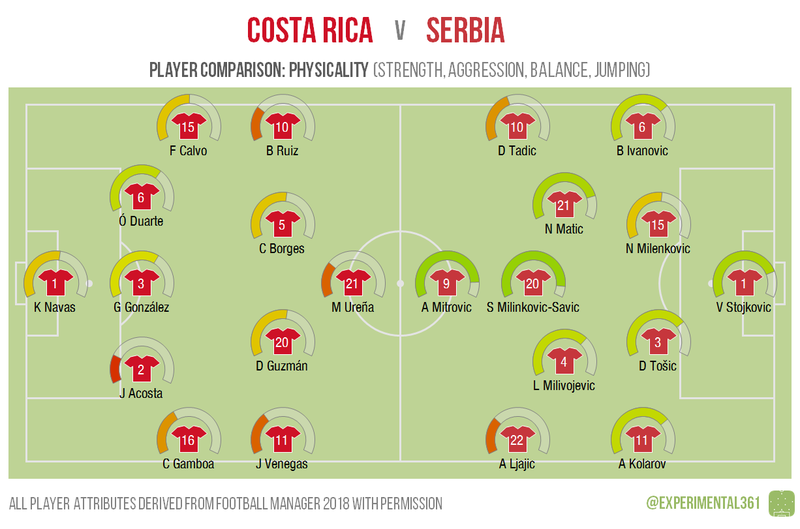 Serbia have a clear advantage here, with Mitrovic and the midfielders behind him looking capable of bullying themselves into some space against a relatively unimposing opponent. As the toughest members of the Costa Rican defence, Duarte and Gonzalez will surely find themselves in a few physical battles at set pieces.